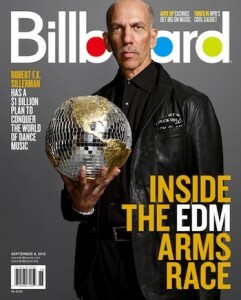 Over the last four years, SFX Entertainment along with its founder, Robert F.X. Sillerman, has bought up some of the most influential EDM businesses in the industry. This past week, a lawsuit was filed against SFX Entertainment, Mr. Sillerman, and Vice Charman Sheldon Finxel. The lawsuit was filed by three EDM industry veterans alleging that the entertainment mogul and his associates engaged in fraud amounting to more than $100 million in valued stock and breached contracts they had entered. The plantiffs include Paolo Moreno, longtime manager to party promoter “Disco Donnie” Estopinal, DJ manager Lawrence Vavra, and Gabriel Moreno, brother to Paolo. When I first heard of SFX Entertainment in 2010, it was through rumored whispers of big business buying up EDM from the top down. After some personal research and industry news developments, I would come to find out SFX already purchased famed-promotion company Disco Donnie Presents and had just purchased Dayglow, now Life In Color, in Aug. 2012. SFX’s acquisitions have been some of the most coveted in the EDM industry and have created somewhat of an EDM conglomerate. Founder Robert F.X. Sillerman has had past success with an earlier incarnation of the company, which also practiced similar strategic acquisitions. The previous company was sold by Sillerman to Clear Channel Communications Inc. back in Feb. 2000 for $3.3 billion in stock and the assumption of $1.1 billion in SFX debt. The company is now known as Live Nation, who in Jan. 2010 acquired Ticketmaster in a merger to become a one-stop-shop entertainment company that handle’s ticketing, artist management, and live music. Some argue Electronic Dance Culture would be better served not being under the control of one conglomerate. However, the exposure Sillerman and SFX Entertainment have brought to EDM is invaluable. The scene was perhaps more exclusive and personal just a few years ago, but commercializing our beloved music was eventual and ultimately will allow the music to reach more people and create more fans for years to come. January 2013: SFX plans to acquire Opium Group and Miami Marketing Group – The deal with Opium Group fell through, but Miami Marketing Group accepted their deal. SFX gained control over three of Florida’s biggest nightclubs: Story, LIV, and LIV Sun Life. February 2013: SFX acquires Beatport – SFX president Tim Crowhurst stated, “We’re making [Beatport] more of a product-focused company as opposed to an engineering company. We’re very focused on creating end-products that the community and all of our constituencies are going to love.” However, immediately many Beatport engineers were laid off and SFX completely closed down the San Francisco Beatport office to trim costs. March 2013: SFX purchases a 75% stake in Dutch promoter ID&T – ID&T is internationally known for their massive EDM events, including Tomorrowland, Sensation, and Mysteryland. Post acquisition, SFX announced the first TomorrowWorld in Georgia and the U.S. debut of Mysteryland in Bethel Woods, the site of Woodstock ’69. June 2013: Live Nation and SFX battle for a stake in Insomniac Events – While SFX offered at least $100 million for Insomniac, Live Nation won the fight and gained a 50% stake in the company. October 2013: SFX acquires Totem OneLove Group and 100% of ID&T – Sillerman announced the buyout of Australian company Totem OneLove Group was “an important step as [SFX expands] into the Southeast Asia market.” It also gave SFX control of the massive touring festival Stereosonic. June 2013: SFX files for an Initial Public Offering (IPO) – After reporting a net loss of $28 million, SFX decided to go public and raise another $175 million in stock and bonds. The company ensured investors that the rapid growth of the EDM industry would swiftly return their investment. 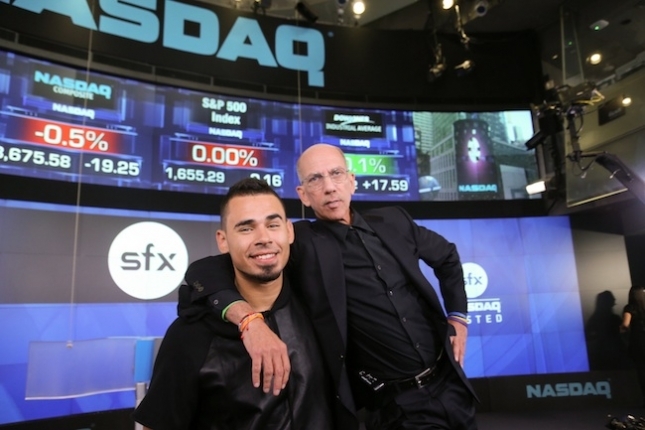 October 2013: Shares of SFX are offered on the NASDAQ – Afrojack joined Sillerman to ring the opening bell for SFX’s IPO, under the ticker SFXE. The IPO opened at $13 a share and raised $260 million, but ended the day at $11.89. January 2014: SFX signs a partnership with Clear Channel Communications – Their new partnership will result in a national DJ talent contest, a Beatport Top 20 Countdown on pop radio, and a live event series. SFX will benefit from the exposure that Clear Channel’s nationwide radio stations will provide for EDM, and Clear Channel will reach—and inevitably advertise to—EDM fans.